Sunday Snippets...it's all about the DVD! Most of the movie takes place in a limo. 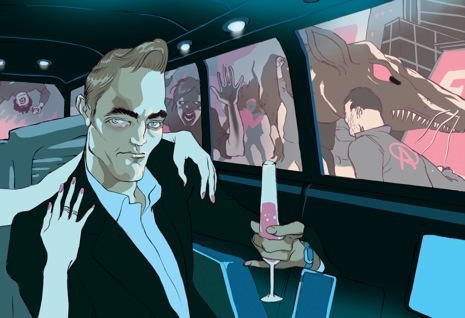 If you go by the critics, you may just want to save your money and wait for Cosmopolis starring Robert Pattison on DVD. Over at Rotten Tomatoes the critics have given David Cronenberg's (CRASH) screen adaptation of Don Lillo's book at 64%. Don't give a hoot what people say? The audience response weighed in with an even harsher 46%. Even those that liked it couldn't embrace it without qualification - Dana Stevens at Slate said "I took a strange pleasure in submitting to this movie's stilted but weirdly poetic rhythms. But I freely acknowledge that for others, enduring Cosmopolis may be less fun than a backseat prostate exam." Hmmm. Will it get your $13.50? 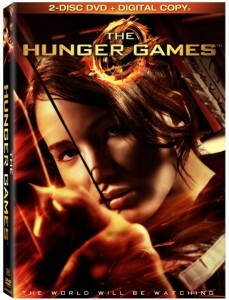 DVD's were the top priority for Hunger Games fans yesterday, the official release date for The Hunger Games DVD. Stores like Target and Walmart had release parties across the country, with fans waiting hours in line for a chance to buy the dvd asap. I remember taking my son to Harry Potter book release parties at Barnes and Noble; it just surprises me that The Hunger Games enthusiasm is as strong. In fact Collins books have actually sold more than Rowlings! Amazon has announced "that Suzanne Collins’ Hunger Games trilogy has surpassed J.K. Rowling’s Harry Potter series in book sales. This establishes the bow-and-arrow toting Katniss Everdeen and her counterparts as the bestselling book series ever on Amazon." How do you feel about The Hunger Games outstripping the success of the Harry Potter books?